One of my New Year's Resolutions is to blog more about projects we have going on at home, art, passions, interests, favorites.... I have so much to share yet seem to only blog about my kiddos. They are closest & dearest to my heart so it's the easiest thing to post about...BUT I really want to try this year to blog about lots of different things. We seem to always have a project going on at the Wiegand household so hopefully this year I can be better about sharing! Before Ainsleigh was born we moved Aiden into his "big boy" bed. Well, honestly it wasn't big enough! This boy flops around and needs more space! So today he got the upgrade :). We took my mattress from college and bought a bed frame at IKEA for $30! So here he is, enjoying his new "bigger boy bed". you go girl! i still haven't made the switch yet for my 2.5 year old.. i like to keep him contained ;) and he shares a room with his brother so i don't want him crawling into his crib! I love it! 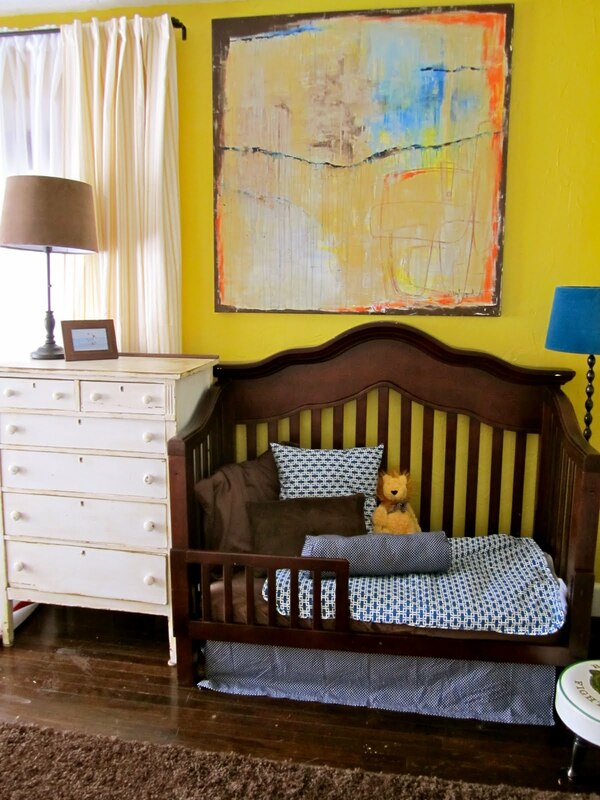 All the colors, art, bedding, EVERYTHING! Oh my gosh, tell Aiden to stop growing up! BUT he looks SOOOOOO happy sitting on his BIG big boy bed!! 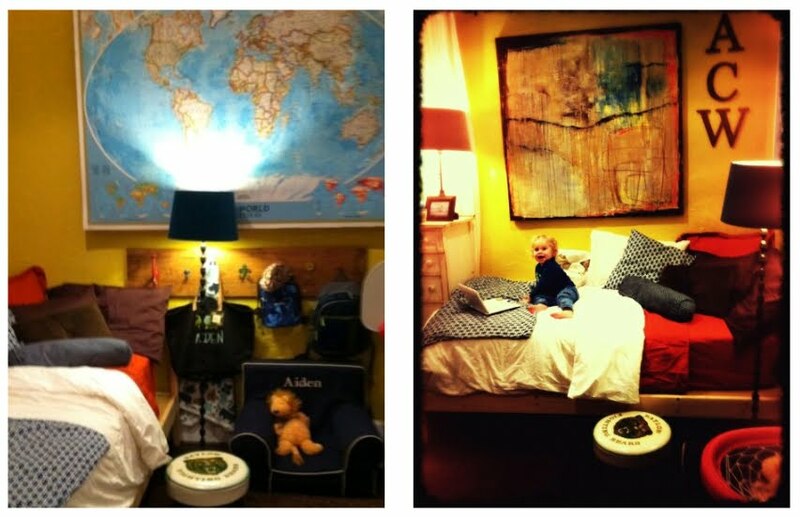 And your kids have the cutest bedrooms on the planet!! !